Iryna Bekeshkina, Director of the "Democratic Initiatives" Foundation during the interview with Eduard Solodovnik on the Hayat radio reviewed the crimean scenarious of February-March 2014 in terms of the process of decentralization. “Crimea and the Donbas, metaphorically speaking, were given by the Ukrainian government to private use [local managers –Ed.] in exchange for the loyalty. I mean, centralization as such, didn’t exist in the Crimea. Still, the authorities in Kyiv expected the local managers to stay loyal to the central Power as they allowed Crimeans doing everything they want on the peninsula,” sociologist noted. However, it did not happen, as the events in the Crimea developed according to an unpredictable scenario. “The Russian Federation on specially allocated budgetary funds supported public organizations in Crimea [mostly pro-Russian ones, - Ed. ], and did it quite officially. That is, Russia quite officially supported the Cossacks (pro-Russian military group) etc. But Ukraine did not pay due attention to this issue,” the Director of the "Democratic Initiatives" Foundation considers. Decentralization has gone too far in Crimea, but the process has benefited not the people, but the local elite. According to Bekeshkina, the authorities of the peninsula lacked consistency due to unclear priorities. “Look, Crimea with its 2-million population had only 7 Ukrainian language schools which were both difficult to get and enter. Those Crimeans who lived nearby were accepted of course, but most of the students consisted of top local government representatives’ children .This example clearly illustrates the lack of aspiration of the Ukrainian government. I would not use the expression "Ukrainize", but on the contrary, the desire to pull the Crimea closer to Ukraine. After all, the peninsula, if I may say so, [at the time of Ukraine's independence, - Ed.] lived separately from its state,” Bekeshkina informed. 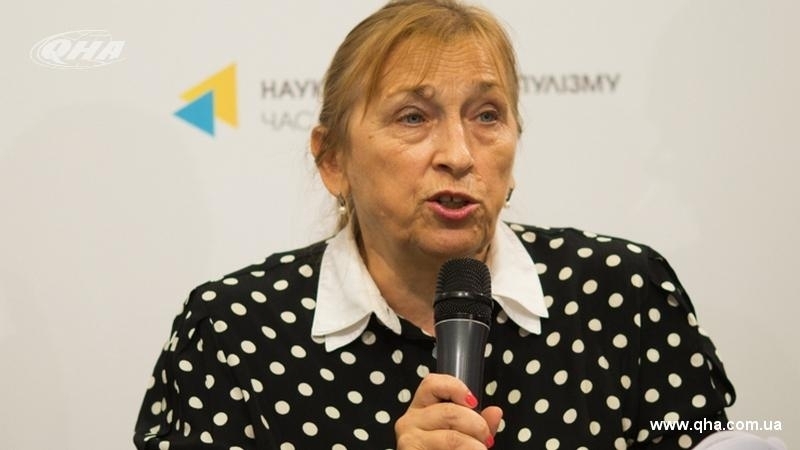 Earlier, the Director of the "Democratic Initiatives Foundation" stated that the issue of Crimea and Donbas liberation from the Russian occupation can not be divided into parts. However, the practical probability of the liberation of the ORDLO occupied territories is higher now.